Wayne Johnson | Johnson & Johnson, Ltd.
Wayne Johnson is a partner at Johnson & Johnson, Ltd. He has been practicing law for over 35 years, and his practice focuses primarily on family law, criminal law, bankruptcy law, estate law, and real estate matters. 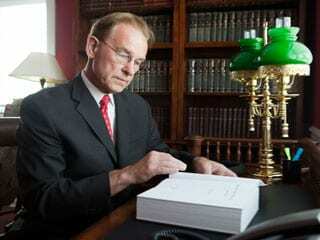 He has conducted numerous trials and court hearings involving large marital estates and complex child custody issues. Wayne Johnson received his Juris Doctor from Chicago-Kent College of Law, and he also received a Bachelor of Arts in Political Science from Loyola University. He is admitted to practice law in Illinois and the U.S. District Court in the Northern District of Illinois. Wayne Johnson is a member of the Illinois State Bar Association, Will County Bar Association, and Advocates Society. If you would like to schedule a consultation with Mr. Johnson, then please contact our office today.